Home Kunsthal and enterprise Become a partner! Since the opening in 1992, the Kunsthal Rotterdam has become a permanent landmark in the cultural landscape of the Netherlands. With more than twenty exhibitions a year and an extensive programme of activities, every year the Kunsthal manages to inspire many visitors. The Kunsthal and its exhibition programme stand for a highly individual and low-threshold approach to art for a broad public without making any concessions regarding quality. If you would like to support the Kunsthal, there are various possibilities. 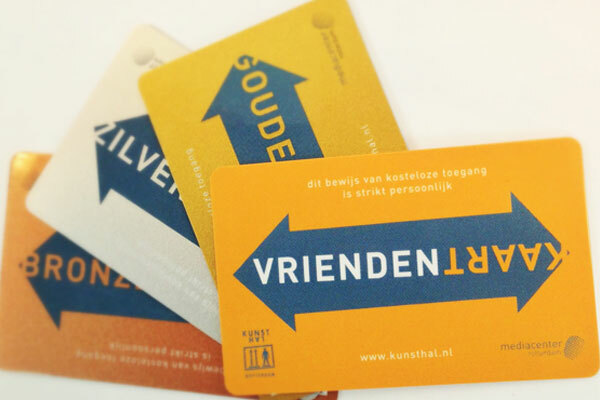 Become a Friend of the Kunsthal! As a Friend of the Kunsthal you are a member of a special group of committed individuals who have the Kunsthal at heart. The Friends Card is the very best way to show this commitment. Together with other Friends of the Kunsthal, you form the foundation of the Kunsthal and make it possible for us to organise large-scale and unusual exhibitions. For € 35 a year you may claim the title of Friend of the Kunsthal and enjoy unlimited access to all the exhibitions. In addition you enjoy various other benefits and can take part in the special activities for Friends of the Kunsthal. The Kunsthal Rotterdam was set up in 1992 by a consortium of companies and private individuals. Now, twenty-three years later, the Kunsthal is once again looking for culture-loving friends who are both willing and able to mean more and who believe in the Kunsthal as an essential Rotterdam institute. The Kunsthal Circle was developed specially for this group of supporters. As a member of the Kunsthal Circle you make a larger annual contribution to the Kunsthal and its future. The Kunsthal offers a variety of possibilities: Bronze Circle for € 250 a year, Silver Circle for € 500 a year, or Gold Circle for € 1,000 a year, as well as customised options. Become a member of the Kunsthal Business Circle! The Business Circle is a low-threshold platform for entrepreneurs based in the Kunsthal: the prime location for picking up new ideas and meeting new people. Every branch is welcome, from architect to orthodontist, from consultant to graphic designer. Each meeting is enlivened by an interesting speaker, of course in combination with a visit to the exhibitions. As a member of the Business Circle, you invest in the implementation of unique exhibitions in the Kunsthal and in its future. The fee for annual membership is € 2,016 in 2016 and € 2,017 in 2017. Would you like to be involved with the Kunsthal?